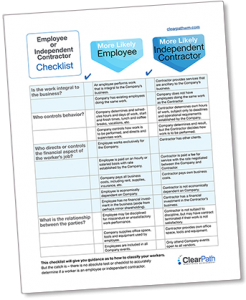 ClearPath helps business owners stay compliant and minimize the risks associated with their contingent labor requirements. A leading certified woman-owned Human Resource Outsourcing company ClearPath services clients throughout the United States and Canada. What’s your potential cost for non-compliant 1099s? 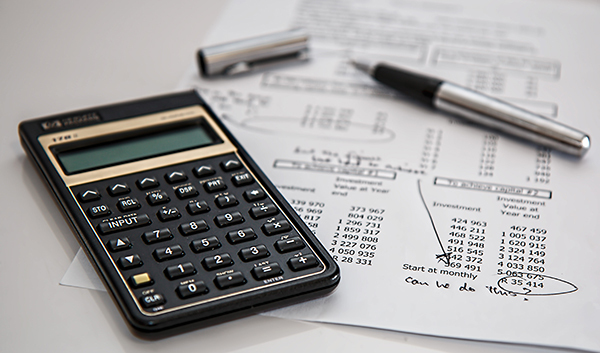 The financial risks from Independent Contractors being classified include back-tax assessments, fines and penalties. 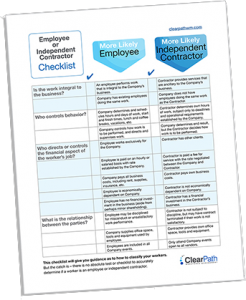 Use this calculator to assess your potential exposure from worker misclassification. ClearPath helped us expand out of state as well as with our California needs. They are a pleasure to work with and responsive. They have enhanced hiring with their value add service for over 6 years now. Sandra James – President, Private Eyes, Inc.
ClearPath is very customer centric. They have been great with assisting our team with getting our process mapped out and launched within our company. Deonne Ramsey – Manager, Talent Acquisition, Trimble, Inc.
ClearPath's ClearIC screening process saved our company immense amounts of time and energy; allowing us to focus on our core business while the hard labor was being done for us. I would highly recommend ClearPath for this service!